Reasonable price 4kVA isolation transformer, convert 3 phase voltage 400V input to 208V output, provides increased reliability and higher efficiency, make this step up/down transformer ideal for a wide range of applications. 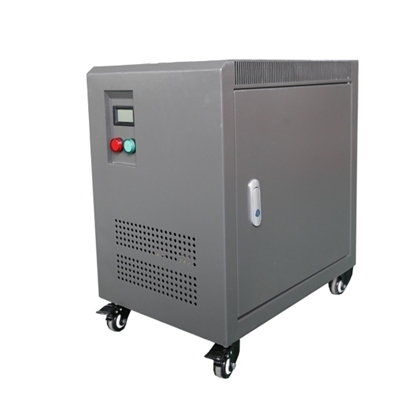 7 kVA isolation transformer is a step up or step down transformer in low cost, 3 phase, convert primary voltage 380V to secondary voltage 208V, better dielectric strength and insulation resistance. The 5kVA isolation transformer is high quality, three phase, 480V primary voltage and 400V secondary voltage, manufactured direct sale. Fully compliant with reduced low voltage regulations, is a non-ventilated isolation transformer rated for hazardous locations as well as harsh industrial environments. *Transformer can only convert voltage and CANNOT convert frequency. *Transformer CANNOT convert single phase voltage to 3 phase voltage. *Input/output voltage, power rating and whether with shell of all transformers, can be customized according to clients' requirements. 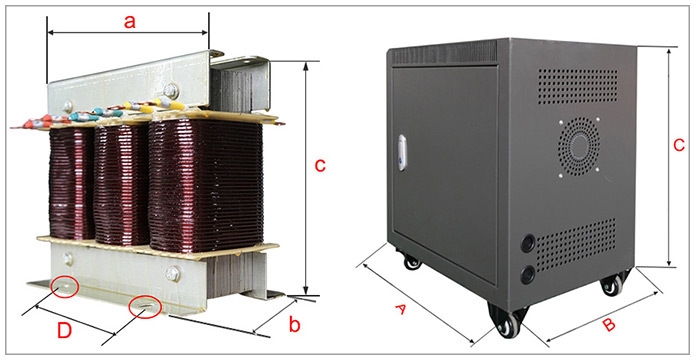 Dyn11 is ATO step up/down isolation transformers wiring method. D represents that the primary winding adopts triangular form wiring, Y represents the secondary measuring winding adopts star form wiring, n represents to lead the neutral line, 11 represents that the secondary winding phase angle lags 330 degrees compared with the first winding. If use clock representation method and assume the primary winding locates at the center of 12 o'clock, then the secondary winding locates at 11 o'clock position with an included angle of 30 degrees. Great isolation transformer for the price. The quality is much better than expected and it runs quite cool. Purchased this 5 kVA isolation transformer for the machine tools in the workshop, easy to install, and the voltage is stable during operation. Do you have warranty policy for this isolation transformer? Dear friend, ATO offers at least 1 year warranty for all isolation transformers, and full lifespan aftersales service. This is very affordable isolation transformer, I bought this to work mainly up scaling 110v to 220v, it has done its job and has worked alot better than the items found on other website.